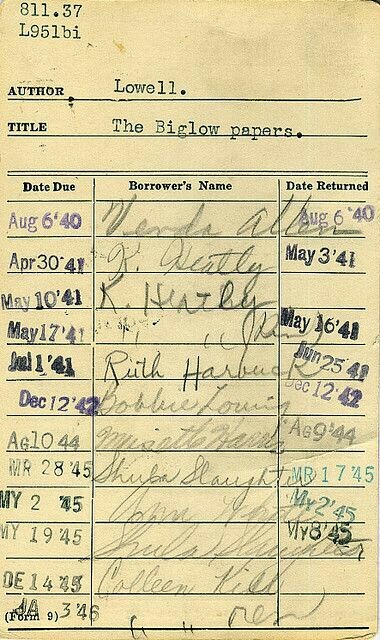 I was a library aide in school and I loved stamping the cards. Our libraries are all digitized now. 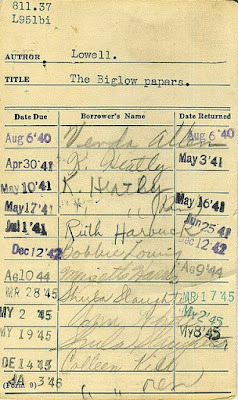 I miss card catalogs and library cards.